The Kennesaw Refractory Log Set features richly detailed, hand-painted concrete logs for use with the matching Vent-Free Burner. Available in two sizes, the competitively priced Kennesaw log set and burner require a minimum firebox depth of just 13 inches for the 18-inch set (8-logs) and 14 inches for the 24-inch set (9-logs) – making it ideal for existing fireplaces and fireboxes. 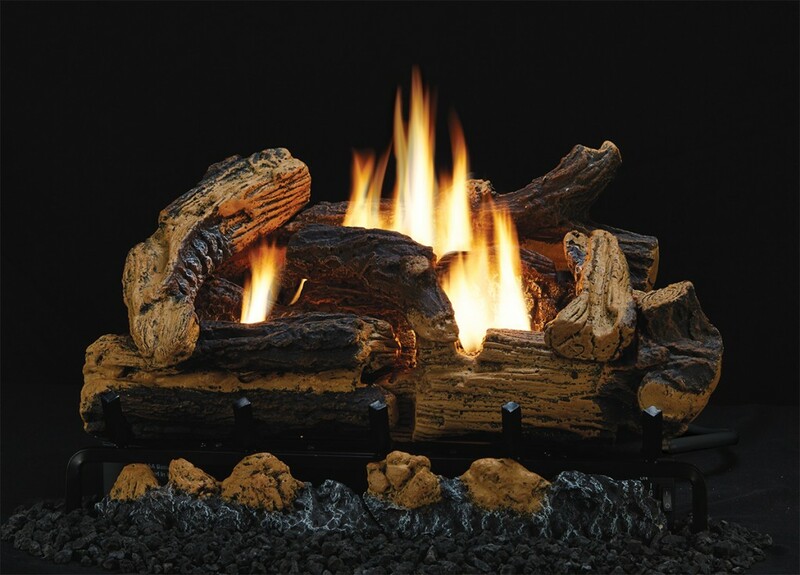 The 18-inch burners are rated at 29,000 Btu Nat and 26,000 Btu LP. The 24-inch burner is rated at 35,000 Btu Nat and 33,000 Btu LP. Both burners provide up to 33-percent turndown to generate the perfect amount of heat for your room.